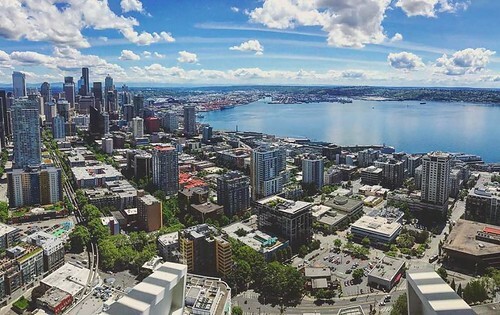 The inaugural Seattle Cyber Security Summit connects C-Suite & Senior Executives responsible for protecting their companies’ critical infrastructures with innovative solution providers and renowned information security experts. Admission is $350 each, giving you access to all Interactive Panels, Roundtable Discussions, Catered Breakfast, Lunch & Cocktail Reception. Learn from renowned security experts from around the globe on how to protect your business from cyber attacks during interactive Panels & Round Table discussions. Evaluate & See demonstrations from dozens of cutting-edge solution providers that can best protect your enterprise from the latest threats. Time, Travel & Money. Many senior executives simply don’t have the time to travel for up to a week to the large cyber trade shows. Our mission is to bring the cyber summit to the executives in the nation’s top cities. Our events are always for just one day only and are produced within first class hotels, not convention centers. Engage, Network, Socialize & Share with hundreds of fellow Powerful Business Leaders, C-Suite Executives & Entrepreneurs. Productive Pre-Set Business Meetings. When you register to attend the summit, you will have the ability to set up meetings with elite cyber security companies so as to analyze the best solutions for your enterprise. Investment. By investing one day at the summit, you may save your company millions of dollars, avoid stock devaluation and potential litigation. Atmosphere. Each Cyber Security Summit is “By Invitation Only” and all attendees are pre-screened & approved in advance. Attendance is limited to approximately 300 Senior Level Executives to maintain an intimate, non-trade show like environment set within a luxury venue. Reality Check. Did Blue Cross / Blue Shield, British Airways, Sony, Target, Home Depot and thousands of other businesses that were hacked do everything within their power to avoid being victimized? Is your company next? Learn the latest defensive measures at the Cyber Security Summit from your peers and from thought leaders in the industry. Cyber Crime is the fastest growing threat to businesses globally. Secure your critical infrastructure before it’s too late! All Inclusive. We provide a catered breakfast, lunch & cocktail reception for all of the attending delegates. You may also indulge in complimentary cigars, courtesy of Cohiba at the conclusion of each event.